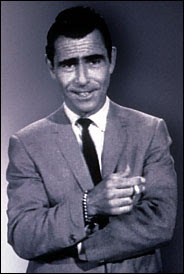 Rod Serling was born December 25, 1924. He had a Bachelor of Arts in Literature. He liked sports and excelled at tennis and table tennis. He wanted to play varsity football but was told he was too small at 5 feet 4 inches tall. He died June 28, 1975.The cause of death at 50 years old was complications from a coronary bypass operation.